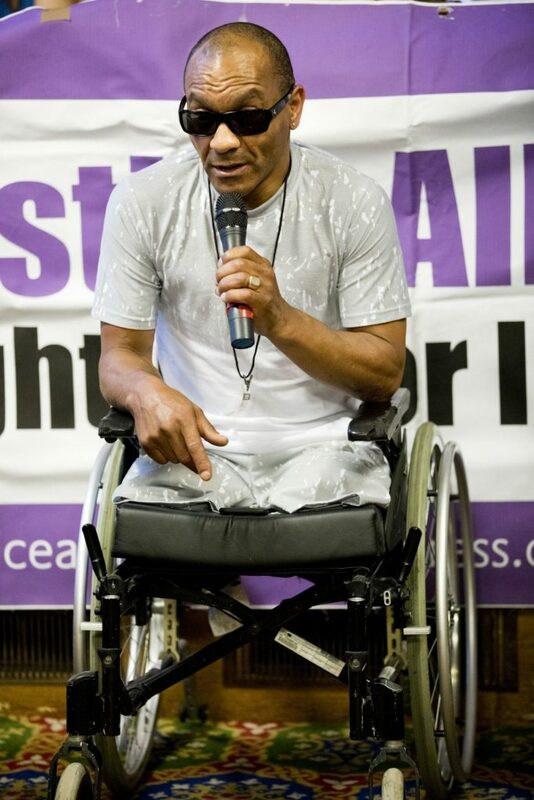 Julius is a double amputee with no legs who had been assessed ‘fit for work’ by the DWP. The DWP had argued that because he had arms, he could use them to ‘climb’ stairs and so had ‘mobility’. When his benefits were cut, Julius fell into debt and had to pawn his jewellery to survive. 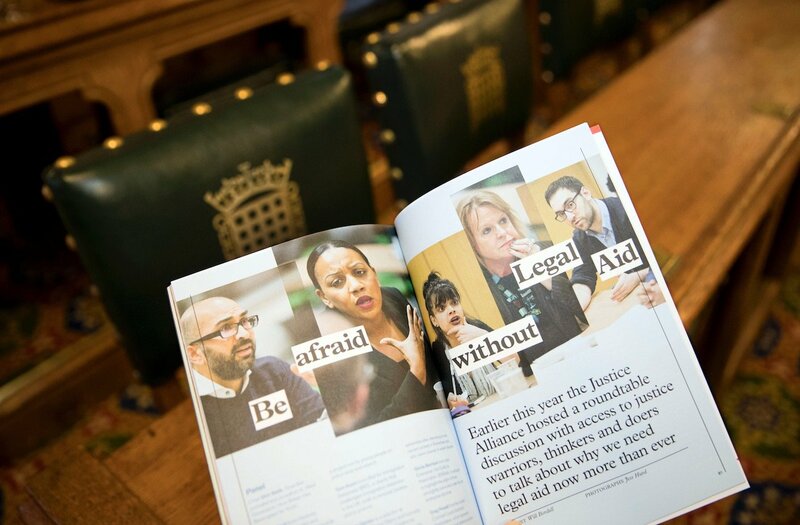 It was only when Hackney Community Law Centre got involved – despite there being no legal aid funding to do so – that the DWP overturned this decision. 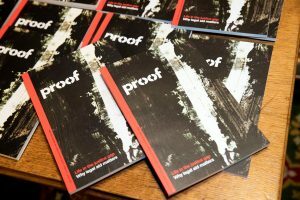 Justice Alliance launch of Proof Magazine, the case for legal aid. Houses of Parliament, hosted by Richard Burgion MP. Westminster, London. Attendees at the launch were visibly moved by Julius’ powerful story. 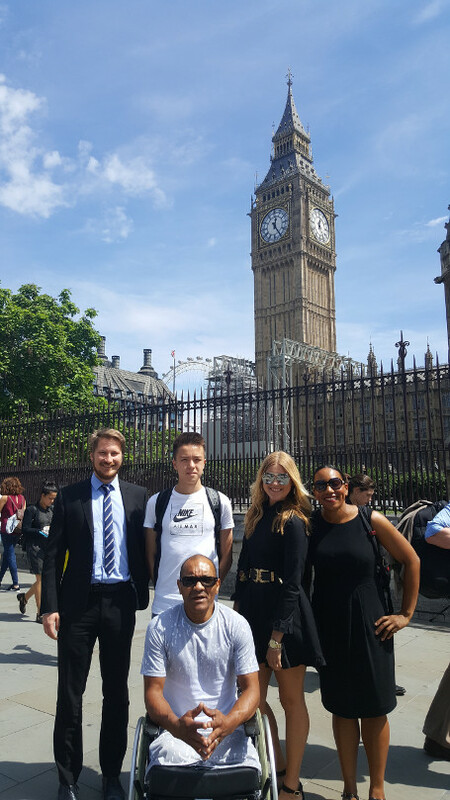 After the launch, we took Julius for a mini tour of the House of Commons and visited the spot in Westminster Hall where Nelson Mandela had spoken to both Houses of Parliament, firstly as a nobel peace prize winner, then as President of South Africa. I hadn’t realised that it was actually Mandela Day. What a great day to be there! Congratulations to Proof Magazine’s editors Jon Robins, Rhona Friedman and Matt Foot (whom I am pictured snapping a photo of with Bambos Charalambous, new Member of Parliament for Enfield Southgate, and Ruth Hayes, Director of Islington Law Centre after the launch) for producing a superb magazine. You can purchase Proof Magazine: ‘Why Legal Aid Matters’ HERE.